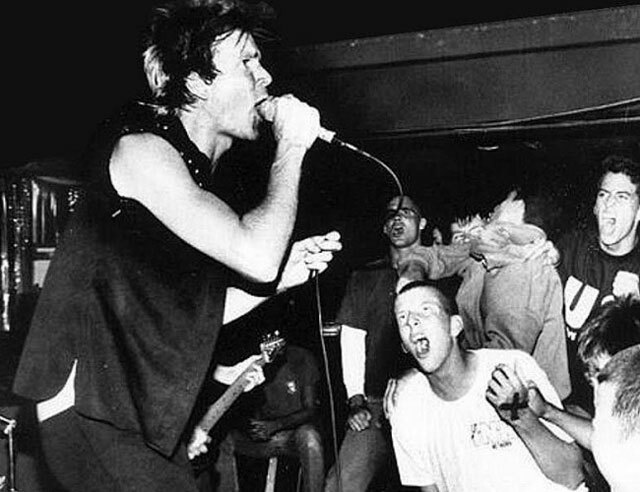 John Stabb of the Washington, DC punk band Government Issue has announced via Facebook that members of the original 1980 lineup of GI will be reuniting for a show. The show will take place at the Damaged City Festival on April 11, 2014, and the lineup (featuring original members Stabb, John Barry, and Brian Gay, joined by Karl Hill) will be performing material from their debut EP, 1981’s Legless Bull, and original 1980 demo songs. Stabb was the only constant member throughout GI’s 10-year run, which stretched from 1980 to 1989. The band last reunited in December 2012 for a show to celebrate the release of the documentary film Salad Days: The Birth of Punk in the Nation’s Capital. Previous to that, the band’s final 1989-era line (Stabb, Tom Lyle, J. Robbins, and Peter Moffett) played a benefit show in 2010, and a lineup of Stabb, Lyle, Brian Baker, and drummer William Knapp performed in 2007 to help Stabb pay for medical expenses. Listen to the Legless Bull EP below.